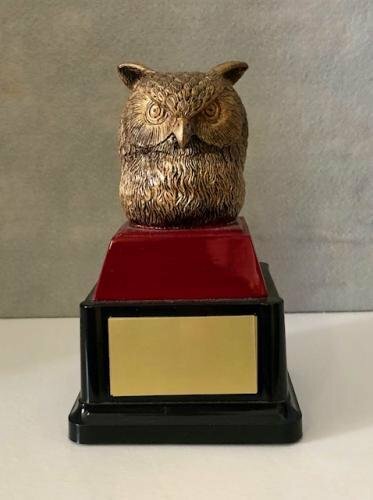 The Small Resin Owl is the perfect award when you just need to recognize somebody. 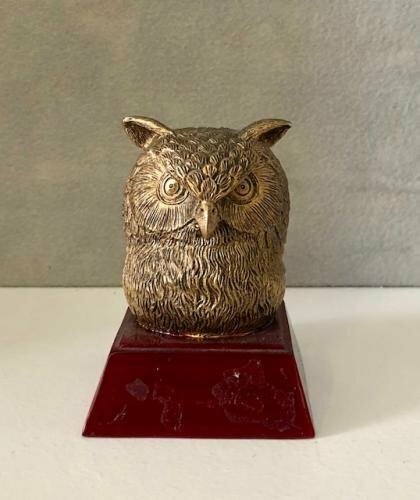 The owl alone is 4" tall and has room for 3 lines of engraving. **Please note there will be an extra charge for line changes. If you need more engraving space, it is available on a base for $35.00.